Putting The Leap Into Leap Day! 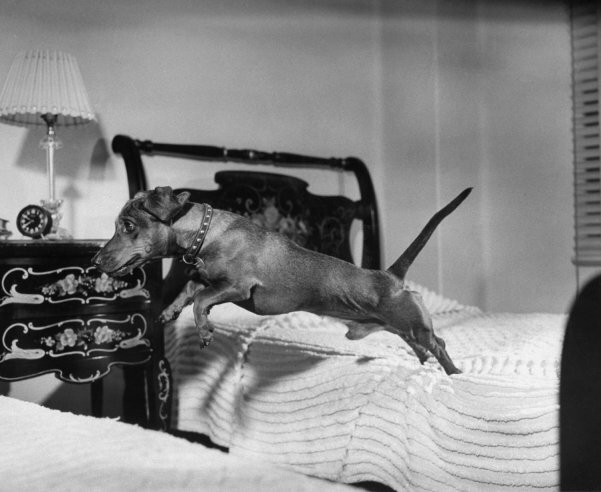 Rudy the Dachshund shows off his bed-jumping form in 1946. 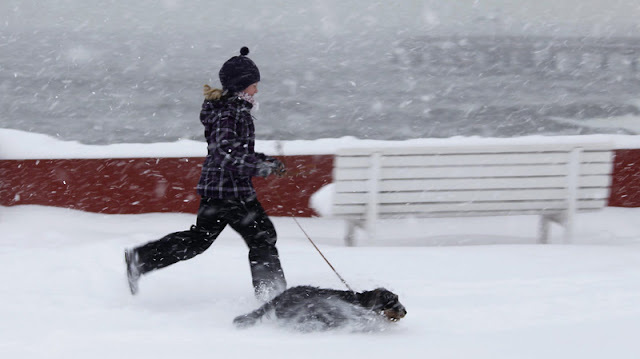 Via the Leap Day slide show at Time.com. Thanks to our friend 'Dash' from Kansas City, Missouri for sending in the photo! When he failed to come out she called her in-laws, the fire service and drainage company Dyno-Rod, who used a camera to try and find him – but no one could see him. As darkness fell they were forced to give up the search. Undeterred, Mrs Batty decided to take matters into her own hands. The next day she contacted the farmer who owned the field, then spent £75 hiring a digger before returning to the field to dig up the 80-metre-long pipe herself. After 27 hours in the pipe, which was nine inches wide, Norman was finally found – muddy, but unharmed. Mrs Batty said: "Norman was wagging his tail. "I'm just so relieved, I sat down and cried, it was horrible. "If it was me in a pipe I'd be terrified. "He was very muddy, but he was so pleased to get out and be around people again. We don't have any children and our dogs are like our children." Mike Nelmes, Dyno-Rod director, said it was not their usual run-of-the-mill call. He said: "It's an unusual case. We don't often get that type of call; we're in the game of drain maintenance. "But the fire brigade called us and anything with vulnerable people or pets with problems then we try to do a good service. "It's not something you can put a price on – saving someone's pet." Farmer John Hardy, who owns the land with his brother, said he was happy to help. He said: "If there's an animal's life at stake you've got to do what you can to rescue it." 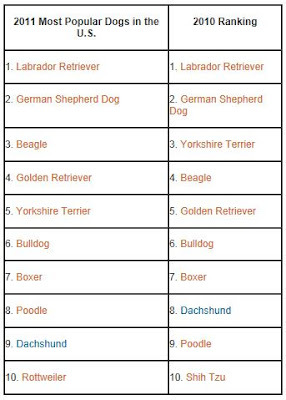 Look out Lab, the American Kennel Club® (AKC) has announced that the Beagle has overtaken the beloved Yorkshire Terrier to become the third most popular dog breed in the U.S. The Golden Retriever also made a strong push into the top ranks – advancing from the fifth to the fourth most popular dog breed – and the Rottweiler made news by unseating the Shih Tzu – which had been in the top 10 since 2000. But fans of the Labrador Retriever need not fear: the beloved Lab remains the champ – a spot it has now held for 21 consecutive years – thanks to its well-earned reputation for playfulness and loyalty and its use as a police and search-and-rescue dog. "While the Labrador Retriever has proven once again to be a family favorite, this year clearly belongs to the Beagle," said AKC Spokesperson Lisa Peterson. "The Beagle's merry personality combined with his love of outdoor activities make him such a wonderful family pet that I wouldn't be surprised to see this spunky breed sniff his way to the top of the list next year." 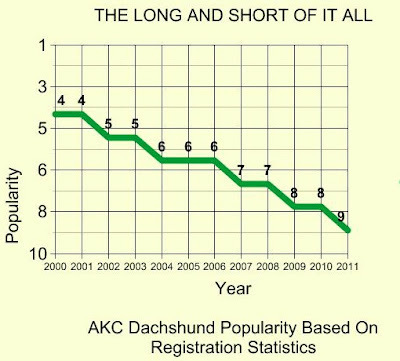 If we spend about an hour graphing out AKC's Dachshund registration statistics over the last twelve years, this is what that graph would look like. Of course, these are registration statistics, and heaven only knows how many Dachshunds aren't even registered with the AKC each year. 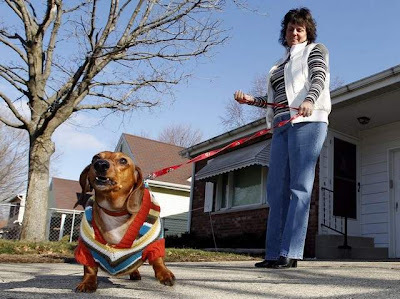 The Dachshund seems to have lost popularity in many major cities across America as well, most notably New York, where we were in the top 5 for many years, but have fallen out of the top ten altogether for 2011. Falling in popularity isn't necessarily a bad thing, as the more popular a dog, the greater likelihood that their numbers will increase in Rescue. And we are still in the top 10 after all. Read all the stats at The American Kennel Club. In a brief news article, Oakie's human, Dale Davis, said he wanted to thank everyone for helping to look for his "Precious Puppy." Oakie was 15 years old. Now, at least Mr. Davis has some closure. We are sad that Oakie's story ended like this, but at least she knew lots of love in her long life. And now Mr. Davis has a furry angel. Just thought you would appreciate an update. Thanks, as always, for keeping up the awesome blog. The larger photo above looks to our untrained eye to be a different version of this piece, Portrait of Maurice, 1976. This work was a commissioned portrait for Gabrielle Keiller. 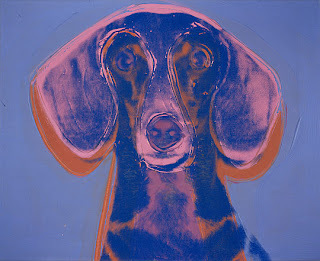 Warhol worked from Polaroids of Maurice taken in his London home to create this image. She can make it to her food bowl in 0.4 seconds. 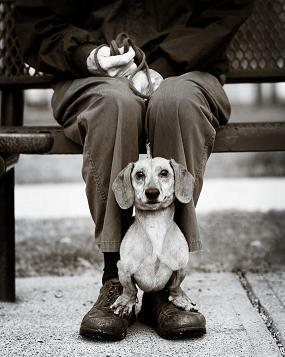 Thanks to an Anonymous Dachshundist for sending this incredible photo in. Origin unknown, but appears to be sourced from Morten Borgestad Photography. 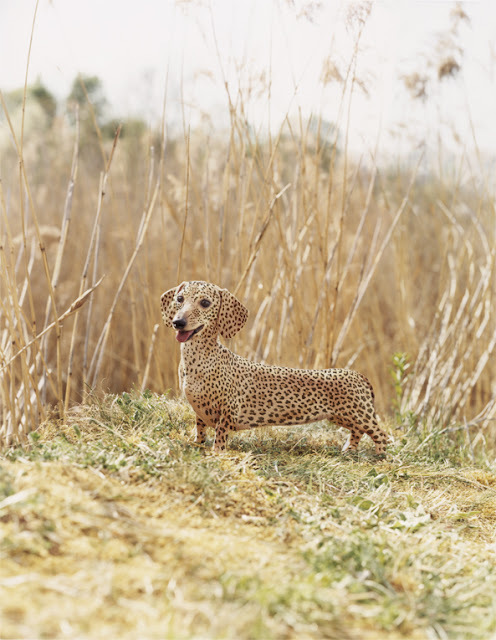 Perhaps the most feline of all dogs in its temperament, the dachshund is the perfect writing companion: sensitive, complex and, above all, thoughtful. They are not the socialite golden retriever, nor the macho bulldog, nor the eternally energetic beagle. They are not prissy like poodles. They won’t hunt like real hounds. They are thinking, pensive creatures. And like writers, they can be both prissy and stubborn, selfish and saturnine. Given its elongated back, the dachshund has a fragile constitution – an artistic constitution, one might say. Don't miss this article over at The New York Daily News. Thanks as always to our friend 'Princess Lea,' who hails all the way from Slovenia, for sending in the latest Drabble! She notes: I must admit that I always have the last woof! 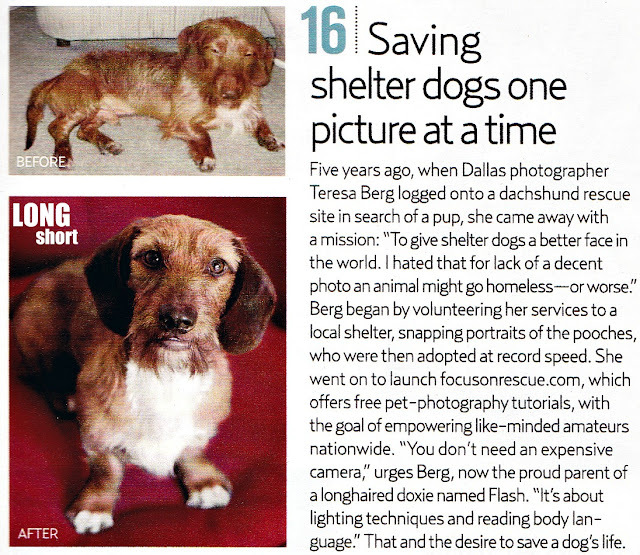 We're pleased t report that while reading our latest issue of Country Living magazine that Saving Shelter Dogs One Picture At A Time came in at number 16 in their "What's Country Now" Review (a "tribute to the people, places, and products revolutionizing what Country means today"). To give shelter dogs a better face in the world. I hated that for lack of a decent photo an animal might go homeless - or worse." Thanks to our friends at Dog Art Today for letting us know that Ms. Berg recently launched her own Etsy shop. 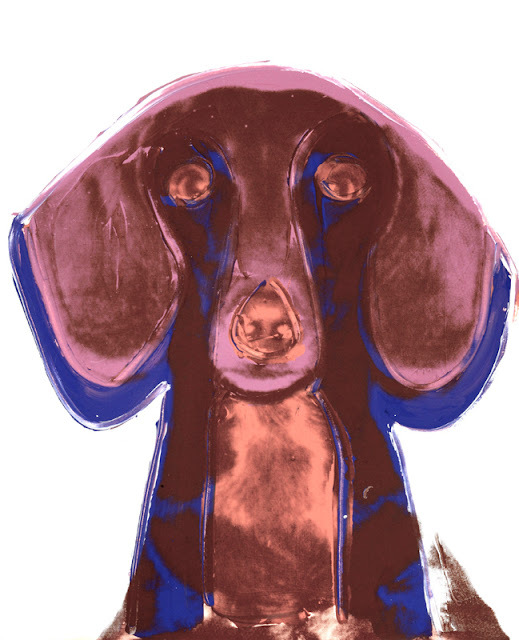 Better head on over there when you need some new Dachshund Art on your walls. A short film about Uli the Dachshund and her mission to improve her food. Maybe we need to go on vacation this time of year a little more often if superstition will give us Dachshunds a winner of the hounds and a chance at Best In Show while we're away. It was like a wonderful dream to hear that Raydachs Playing With Fire V Gleishorbach SW - aka 'Cinders' - took the hounds at this year's Westminster. 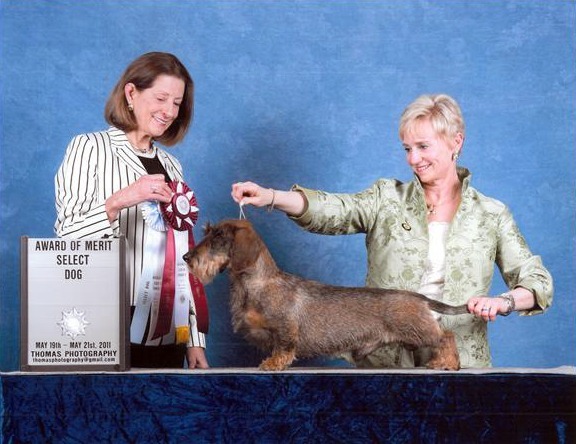 Cinders is the top-ranked wirehaired Dachshund in the United States after all. It was a nightmare of a dream to hear that Cinders lost Best in Show to a Pekingese though - really - a Pekingese? Your 'Long and Short of it All' host 'Rowdy' took one look at the fluffy guy 'Malachy' and wondered if he had a squeaker inside and if he needed to be "de-squeaked." Was that really even a dog? Shirley Ray, one of the owners of Grand Champion Raydachs Playing With Fire V Gleishorbach SW “Cinders,” said judges told her Cinders is the first female wire-haired dachshund to win the hound group at Westminster. Maria and James Sakoda also are listed as owners. Ray said she named Cinders “Playing with Fire” because she almost died at 8 days old when her mother got milk fever. Ray had to bottle-feed Cinders and the other puppies. Still, that hasn’t affected the champion’s spirits. “She’s also known as the dachshund that never stops wagging her tail,” Ray said. Ray has been showing dachshunds for 18 years, but she’s never had a dog win the hound category. In 2003, she came close when her dog was ranked in third place. Wishful Dachshund Lover, actor, director, screenwriter, and producer Kevin Spacey sports a white button down striped dress shirt from Italy's finest sportswear designers Harmont &Blaine. While Dad was off gallivanting around in Hong Kong (where? ), we had a great time staying with our pals Sampson, Tommy Lee, and Gina Marie. 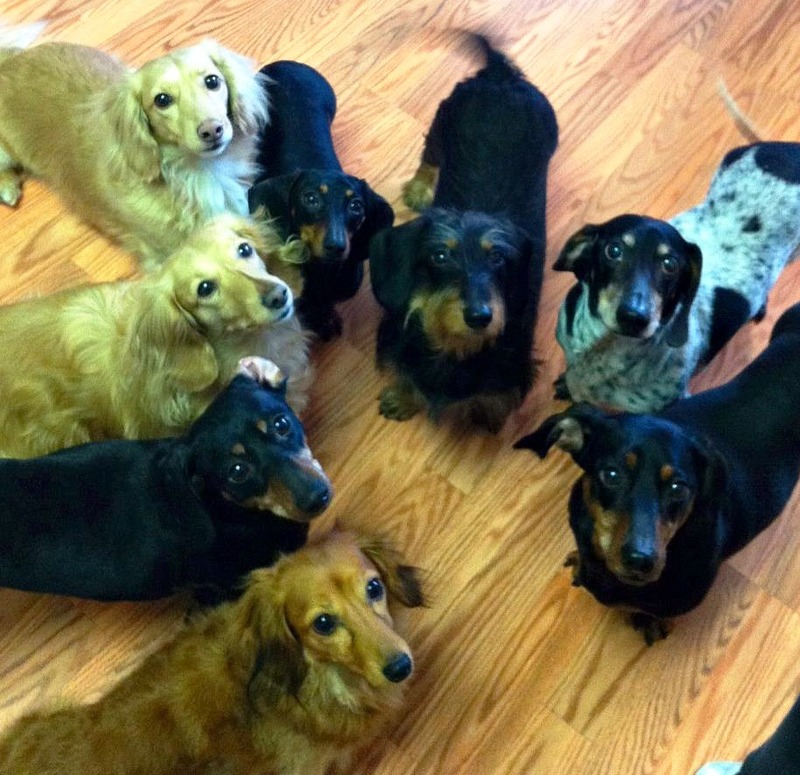 One afternoon, three of their friends came over, and boy was it a party.....a Dachshund Party! All that was needed was a Border Collie to round us all up. Here we are waiting for Ms. Human to give us a taste of whipped cream straight out of the can - let's repeat that: whipped cream straight out of the can. Joy, oh Joy. Dad can stay in Hong Kong as long as he likes as far as we're concerned. Dad noted that he saw mostly poodles on the streets of Hong Kong, but he did see one Long Dog at a pet supply store - a pretty little red long-haired gal with hip problems who had trouble walking - but she didn't have back issues. Dad was going to bring us back some treats....maybe something that we haven't had before, something regional, exotic, and tasty - but the pet supply store owner quickly reminded him with her response: "I don't sell anything from China." Yes. And so.....the Kangaroo treats from Australia were awesome. We love you Dad. We are officially on vacation while Dad is off gallivanting around. This is probably the longest time we will have ever been away from the blog - possibly up to two long weeks! We're going to miss the Westminster Dog Show and all the fun that comes with Valentine's Day, but there's always next year, right? If you get really bored, maybe have a look through the archives - there's lots of fun stuff to read! Keep warm and snuggle up to your human. We'll be back soon. We're pretty sure you know what's going to happen. Hilarious video by Dragoon Films, who note: What happens when you have three dogs living in the same house. Cooper enjoys the limelight, so when he and Kathy Lockyer step onto the green carpet at the Westminster Kennel Club Dog Show Monday in Madison Square Garden in the heart of New York City, the 4-year-old wirehair standard dachshund should be a hit. 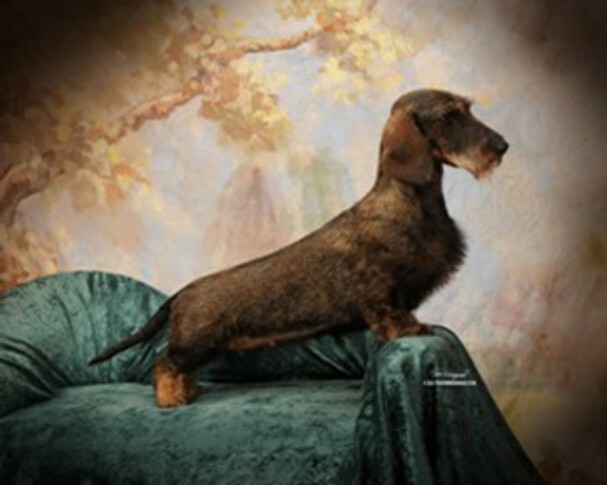 Cooper will compete with 21 other wirehair standard dachshund entries, one of the largest groups at the prestigious show and part of the hound category. "To go to Westminster; to be seen at Westminster; to get invited to Westminster is a big deal because you don’t get invited very often,” said Lockyer, who pointed out the top in the breeds are invited and then there’s a drawing. “Stepping out on the green – it’s just a privilege to be there,” she said. Thanks again to our pal 'Princess Lea,' who hails all the way from Slovenia, for sending in the latest Drabble! 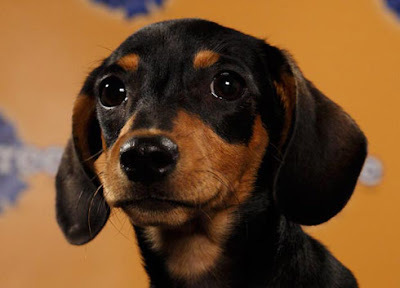 Mary Snyder couldn't believe it when her mother-in-law's dachshund Mollie ripped apart a chew toy and left three little batteries lying on the floor. 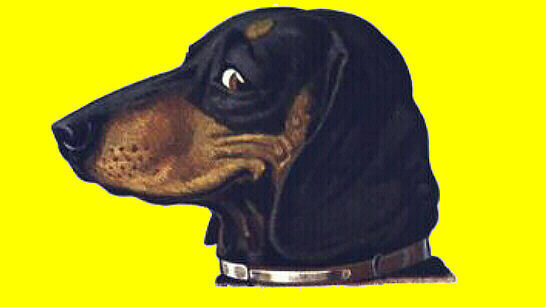 "Who thought that made sense (to make a chew toy like that)? A dog chews," said Snyder. "I was livid." The product she's concerned about is the Pet Shoppe Chirping Bird Plush dog toy. CBS 5 found it for sale at several local Walgreen's stores. Veterinarian Suzanne Johnsen, of Van Aken Pet Hospital in Phoenix, said batteries, especially larger ones, can pose a choking hazard for pets. They can also be dangerous if ingested because leakage of alkali can damage internal organs. "If they chew on them, they can also release significant amounts of mercury," said Johnsen. Snyder said when she went back to Walgreens and dissected the toy to show the manager, the store immediately took the product off the shelves. "Most people have puppies and children. So the dog tears the toy apart. The battery's on the floor and we have another tragedy," said Snyder. "I want those toys pulled. I want every single one of those toys pulled off the shelves." 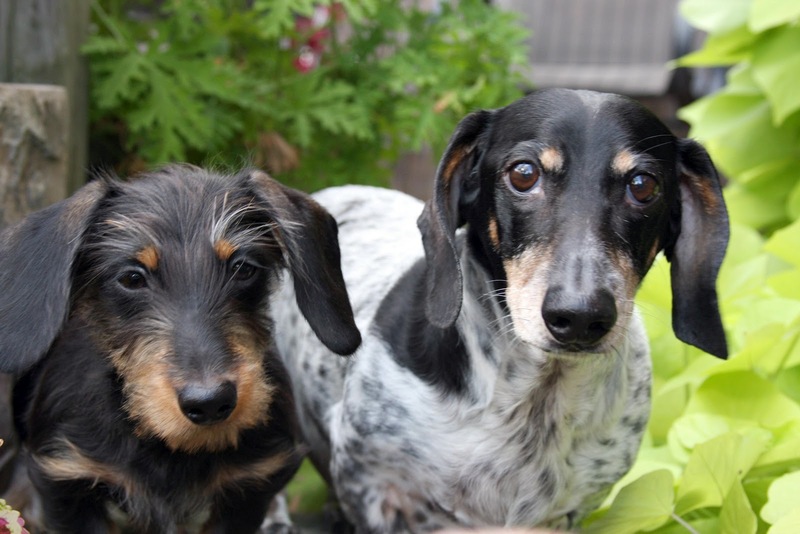 Help is desperately needed from Dachshund and dog lovers in Alta, Iowa (population 1,865), near Storm Lake, to find 14-year-old pretty red smooth 'Oakie' for her blind human Dale Davis. Thanks so much to our pals 'Oscar' and 'Hans' for forwarding on this story - they heard about it from their Grandma! 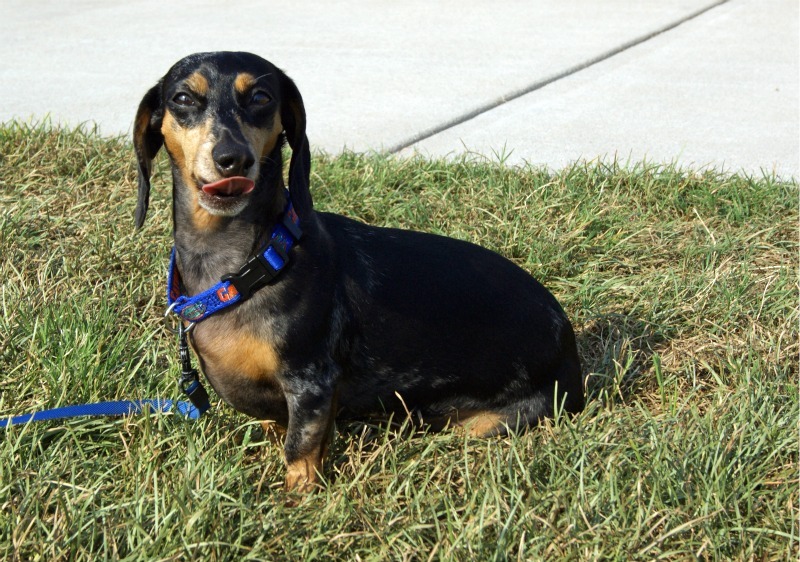 There are so many stories of lost Dachshunds and dogs that it's hard to post them - but this one certainly tugged at our heartstrings and Oakie simply must be found. It's cold outside. If you live near these communities, please share the story of missing Oakie with your friends and neighbors, or even better yet, help scour her neighborhood to find this special girl and bring her back home. Dale Davis has lost his dog Oakie and is doing everything in his power to find her. At the time Dale told The Storm Lake Times he was surprised when people said he inspired them to face their own challenges. At his side during the entire interview was the red miniature dachshund he said he couldn’t get along without. “There’s been a few tears,” said the 82-year-old Monday. Usually Dale hooks Oakie to a leash when he lets her out. Friday night he forgot and the dog ran away. Unable to look for her himself, Dale put out the word. “I told everybody over in Alta,” he said. He spoke with Brad Pedersen, who is in charge of garbage pickup, in case his workers might see the dog. He spoke with snow removal workers and neighbors. The Bunjes boys have been informed of the loss. “Her face is grey and her paws are all grey,” he told them. In the event of bad news Dale wishes to have the dog’s body taken to Oakie’s vet, Dr. Stepan, and cremated. On the bright side, Dale’s macular degeneration has not worsened. However, his shoulder went out a few months ago and Dale is unable to bowl, much less raise his arm. He’s been treated at the V.A. in Des Moines for pain. “And I got those two new bowling balls!” he exclaimed. The old ball with which he bowled 300 developed a crack through the finger holes and around to the opposite side. Clem Ledoux of Century Lanes had to guide Dale’s fingernail along the crack because he couldn’t see it. The lucky ball was given to Dale’s son Bill. Dale likes to think back to when his name was all over the news. “I put Bonnie and Clyde to shame,” he says with a half smile. PLEASE KEEP AN EYE out for Oakie. If you find her call 712-200-3848. “If they find her I want to give a reward,” Dale added. 'Uma' and 'Eli' are off to the University of Queensland in Australia for a run on the oval. By youtuber nitramluap. This will kick start your week with a smile. Try not to laugh. Go ahead....just try. By youtuber bamfandearl who notes: we discovered if we scratch my dog obi's snout a certain way his nose goes crooked. We couldn't decide whether to watch the Kitty half-time show during the Puppy Bowl, or the Cougar half-time show during the Super Bowl. 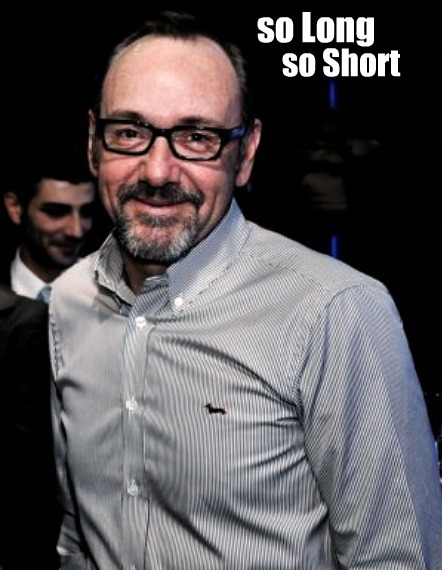 Just kidding....we love you Madonna. We crown 15-week-old 'Oscar,' from Furever Dachshund Rescue, Puppy Bowl MVP. Way to go Oscar! 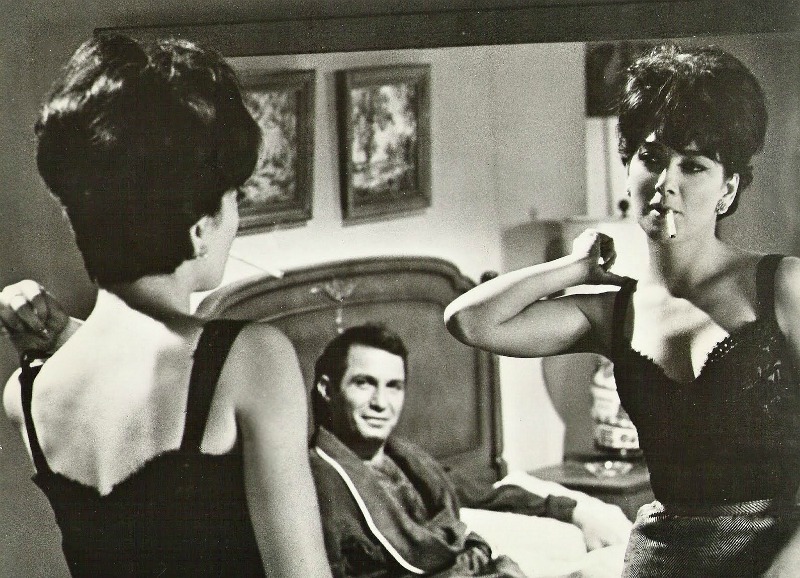 Ben Gazzara enjoys the view of Dachshund Royalty, Suzanne Pleshette, in the film A Rage To Live, 1965. 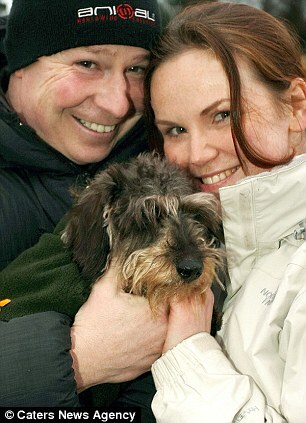 With his third wife, former fashion model Elke Gazzara, Mr. Gazzara would adopt a Dachshund named 'Maxi' from their daughter. Maxi had such an incredible life that Elke would soon chronicle her in the 2007 book 'Madison Avenue Maxi.' The book detailed Maxi's worldwide jet-setting lifestyle, including meeting such notaries as Roman Polanski, Gena Rowlands, John Voigt, Danielle Steele, Gay Talese, Peter Bogdanovich, New York's mayor Michael Bloomberg, and Frank Gehry. 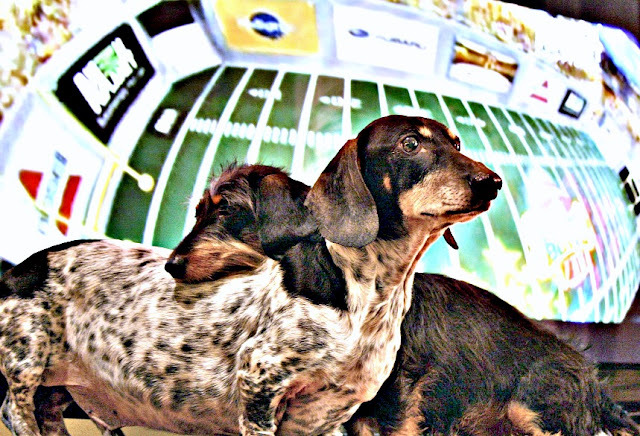 Brees the red dachshund often becomes confused when his owners watch the New Orleans Saints' football games on television. Lafayette's Karen Kepner -- who owns the dog along with her mother -- laughed this week when she recounted the scene that typically ensues when Brees hears references to his namesake, former Purdue University quarterback and current Saints star Drew Brees. "He'll watch the Saints games with my mom. When she'll holler -- 'Go Brees!' -- he'll ... try to figure out what she wants," Kepner said. 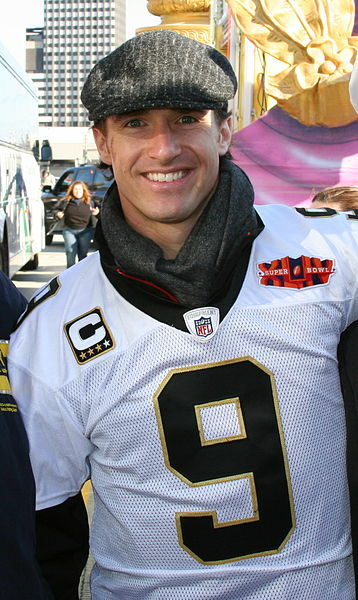 Drew Brees at the Saints Super Bowl Parade, 2010. See the resemblance?